Induction is something that is done in every organization, big or small whenever an organization is thinking about new recruitment, company partnerships or introduction of new and potential clients. It is probably considered as the first step towards gaining an employees’ commitment and is aimed at introducing the job profile and the organization to recruit him or her to the organization. It involves training and orientation of employees in the organizational culture projection how he or she is connected, and is interdependent on everyone else in the organization. It is basically an introductory stage in the process of new employee assimilation and probable part of his or her continuous socialization process in the organization. The process of induction can be full of hassles if it is needed to be done manually every time, therefore, you need an automated tool that can be handy for this job. LetsInductMe is one of the top tools which most of the organizations are preferring for their induction processes. The tool saves a lot of efforts and time for the organization’s HR team conducting the Inductions for the organization. 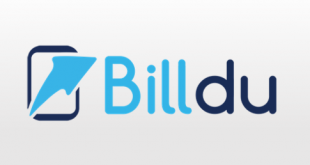 The tool has 3 plans for three types of customers. All of which have a 30-day free trial. 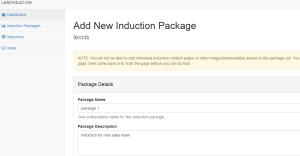 You can create a new induction package by clicking on the New Induction Option from the Dashboard. 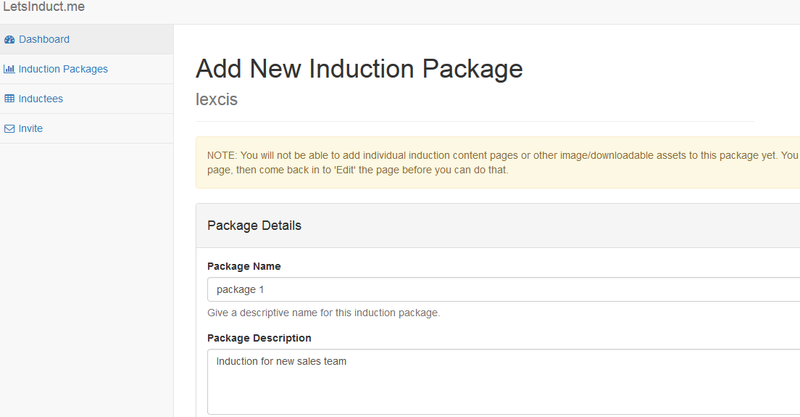 After a package is created, the dashboard shows list of all Induction Packages which a user creates. 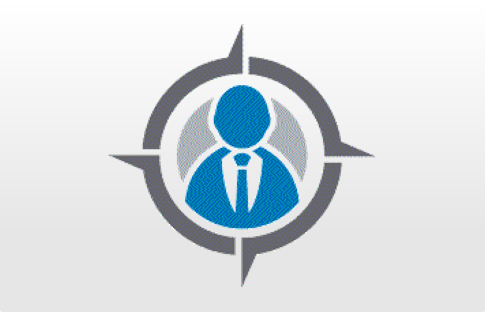 The tool allows you to invite people or here called as, Inductees to view the induction or presentation. For this, go to left panel and select Inductees option and fill in the email and other details for them to get involved for the Induction. To generate and work your first induction, you have to initially invite Inductees to the project or Inducton that you intended to create. The Inductees or the participants are created by sending them invites through emails. Furthermore, they can act as inductees only if they are registered in the website with that email id. Within the Layout tab, you can specify the general look and feel of the induction pages such as designs including headers which go on the top for each page. This basically sets up the template for each page in the Induction. 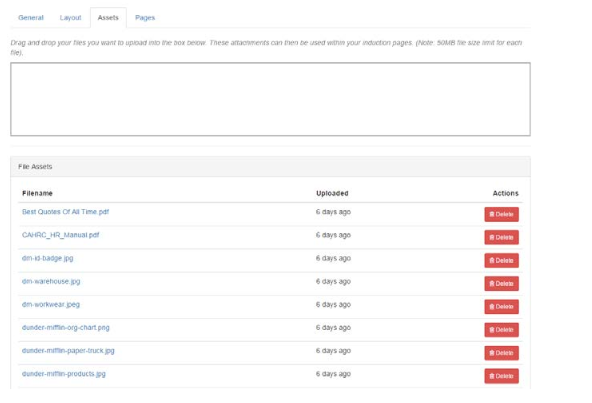 The Assets tab can show you the list of assets that can be embedded into your package pages. An asset can be anything from a PDF Document, a simple image, a word document or a PowerPoint presentation. An asset can be anything that you want your Inductees to be able to download or view in an induction page. Inductions can now be run anywhere and anytime in the world. 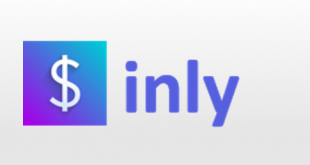 The tool supports your Android and iOS devices to sync in with the tool in a seamless manner so that you do not have dependency on the computer on your office desk. The tool appears to have no external integration with other apps. It connects and communicates within itself with members to conduct presentations and inductions. The tool supports the users by a firm knowledge base and user guides, it also supports by emails. Unlike other sophisticated tools, it allows HR departments having little or no knowledge of HTML or web programming to quickly set up multiple inductions. The Inductees are needed to register themselves in order to view the Induction or presentation. 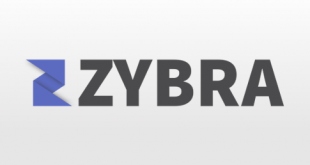 The tool does not pulls people from other social platforms. LetsInductMe is preferred for its easy to use interface. 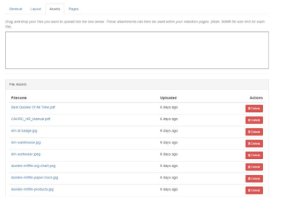 Along with dashboard, the tool also has a separate notification area that alerts the user if anything significant happens, such as people registering for inductions and completing them. For more details, please visit: LetsInductMe website.